Male to Male Connector. Warranty would be invalid for following conditions. Yatour Digital CD changer 8pin for VW Audi Skoda Seat Quadlock SD USB Adapter. Yatour Digital CD changer 12pin for VW Audi Skoda Seat Quadlock SD USB Adapter. Yatour Digital CD changer for RD3 Peugeot Citroen RB2 RM2 Van-bus SD USB Adapter. Fits for AUDI A3 Car Stereo Single Din Facia Plate Adapter Surround Panel. This fascia adapter can transfer these car models dashboard into single din size This fascia can also be used on following XTRONS units. This kit is made of factory textured ABS plastic. It fits 1 or 2-DIN, Shaft & ISO mount radios. There is no cutting required for DIN applications and it has a recessed DIN opening. Features custom designed mounting brackets, DIN sleeve support rails and ISO mount capability. NOTES: For Audi Vehicles which need Special Keys to Remove the OE Factory Radio. Works with Factory Radios with Key Slots on the Bottom or Sides of the Factory Radio. Radios with 4 Slots will need 2 Sets of Keys. Item Type: Fascia ,for AUDI A1 8X 2010 . Type:One Din. Car Storage Box. Car redio fascia. Wire Harnesses. for CADILLAC. for CHEVROLET. for CHRYSLER. Fuse Holders. - Factory Radio. - Signal Processors. - Dash Kits. - Installation Harness. - OEM Harness. Amplifier integration harness for 1996-2008 Audi Vehicles with Bose sound systems. Install dash kit for Double DIN/ISO Radios. Totally 19 pairs different keys. Fuse Holders. - Factory Radio. - Signal Processors. - Dash Kits. - Installation Harness. Compatible with 2000-2001 Audi A4. - OEM Harness. Amplifier integration harness for 1996-2008 Audi Vehicles with Bose sound systems. Professional Installer Series TurboKit fits the factory radio opening perfectly High grade ABS plastic Leaves dash with a look of an ISO mounted radio Comprehensive instruction manual All necessary hardware included for easy installation . *Double DIN kit for 2008-up Audi TT. Positive spring loaded detent lock Longer life heavy duty low friction hinges Dual spring support while cover is open Accu view tinted cover . Applicable: New body style VW Passat, Jetta & Golf with vertically aligned key slots. For the removal of a factory radio. This tool is designed to work on radios with theft-deterrent brackets. These radios will have vertically aligned slits that the keys lock into. AUDI A6 (4B) 1997,1998,1999,2000,2001,2002,2003,2004,2005. CARAV 11-458 Car Radio Installation Trim Fascia Panel. CARAV 11-458 Car Radio Install Dash Kit. Special For: AUDI. or CNPJ No. The installation does require a degree of DIY knowledge like all other in-car products. A3 (with Concert radio)2006-2007. A4 / S4 (with Concert radio) 2000-2005. • Warranty service will be refused if serial number of unit does not match that of serial number sold by us. Contoured To match factory dashboard. GM Multi-kit 1994-1997 ISO DIN/ DDIN Installation Kit. DDIN head unit provisions. ISO DIN head unit provision with pocket. 70-1858 – GM harness 1988-2005 Antenna Adapter 40-GM10 – GM antenna adapter 1988-up Applications. 2 Din Installation Kit For Pioavicz1, Pioavhp6800Dvd and Piofhp4200Mp. This kit includes cage, brackets & trim ring for Double-DIN products. Convenient Installation. Convenient Installation. Compatible with. Universal Water-Resistant Car Stereo Cover. General Features Dual spring support while cover is open. Accu-view tinted cover. We are not responsible for any custom duties or brokerage fees that may apply for all international orders. Scosche Dash Kit for 2002-Up Audi A4 Double Din and Din with Pocket. Precision designed for a gapless fit between the dash and the kit. Color and Texture matches the factory dash. We do not accept P.O. Boxes. The 2002, 2003, 2004, 2005 Audi A4 Pocket Single DIN w/pocket Installation Dash is designed to improve the overall sound quality of your car audio system. 2000-UP AUDI A4 PKT INSTALLATION KIT. Wiring Harness. XTRONS Pro Car Radio / Audio Fascia Plate Dash Panel Fitting Kit for Audi A4 (B6) 2000-2006. This fascia can also be used on following XTRONS units Fits for AUDI A4 (B6) 2000-2006. Perfect fit for AUDI. Equalizer provision allows the installation of a 1/4" or 1/2" DIN equalizer. All necessary hardware included for easy installation. 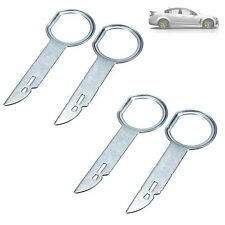 Detachable clasp key ring with left and right radio removal tools. This is what most consider is the hardest part of the installation. With this diagram; installation is a piece of cake. 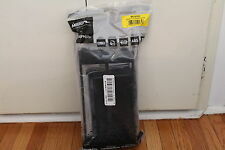 2000-Up Audi A6 Double DIN or DIN w/Pocket Installation Mounting Kit. Fuse Holders. - Factory Radio. ISO DIN radio provision with pocket. - Signal Processors. - Dash Kits. - Installation Harness. - OEM Harness. wire harness and if it applies an antenna adapter. Fuse Holders. - Factory Radio. Quick conversion of 2-Shaft to DIN dash kit for Single DIN/ISO Radios. - Signal Processors. Allows for the installation of 1/4" or 1/2" DIN EQ. - Dash Kits. - Installation Harness. AU2390B 2002-05 Audi A4 Pocket Installation Kit. 2002 - 2005 A4. Includes a storage pocket below the radio. Install dash kit for Single DIN/ISO Radios. High-grade ABS plastic construction. Designed and manufactured with precision tolerances, resulting in a gapless fit between the dash and the kit. Installation Dash Kit for Single DIN Headunits. Includes a storage pocket below the radio for single DIN mounting. Accommodates ISO Single DIN mount. For Audi TT vehicles. 2007 - 2012 TT. Gapless fit between the dash and the kit. Universal Water-Resistant Radio Cover. Radio Installation Kits. Positive spring-loaded detent lock. Marine Audio. Non Car Audio Products. KEY FEATURES. Besides cost it is likely to delay the order. Dual spring support while cover is open. IN AUDI A4 - S4 & A5 - S5 MODEL VEHICLES. 75102109 Audi A4 09-16 J R F. Audi S4 10-16 J R F. Audi A5 08-16 J R F. Audi S5 08-16 J R F. Audi S4 04-08 J R F. Audi TT 08-15 J R F.
IN AUDI A3 - A4 - Q7 - S4 or TT MODEL VEHICLES. Audi Q7 07-15 J R F. ALSO VW BEETLE MODEL VEHICLES. 75102-607 Audi A3 06-13 J R F. Volkswagen Beetle 12-15 C R F. Audi S4 04-08 J R F. Audi TT 08-15 J R F.
Install dash kit for Single DIN/ISO Radios Designed and manufactured with precision tolerances, resulting in a gapless fit between the dash and the kit Painted to match factory dash color High-grade ABS plastic construction Factory style texture Kit Includes. WELCOME TO WOLF'S! (THIS ITEM IS BRAND NEW AND FACTORY SEALED!) NO SPECIAL TOOLS NEEDED! INSTALLS 2-SHAFT & DIN "E" PANEL RADIOS **More photos and details are available upon request. ** [Track Page Views With Auctiva's FREE Counter] (https://pages.ebay.com/seller-center/listing/listing-advanced-sellers/third-party-listing-tools.html#auctiva).